Want to become a truly great trader – either for yourself or for a proprietary trading firm? This book will help you get there. This unique approach is the closest thing to signing up for a “trader boot camp” yourself! You’ll learn by watching new traders walk through actual trades, explain what they’ve tried to do, and try to survive brutally tough expert critiques. One trade at a time, The Playbook reveals how professional traders must think in order to succeed “under fire,” how they assess their own performance, and how they work relentlessly to improve. 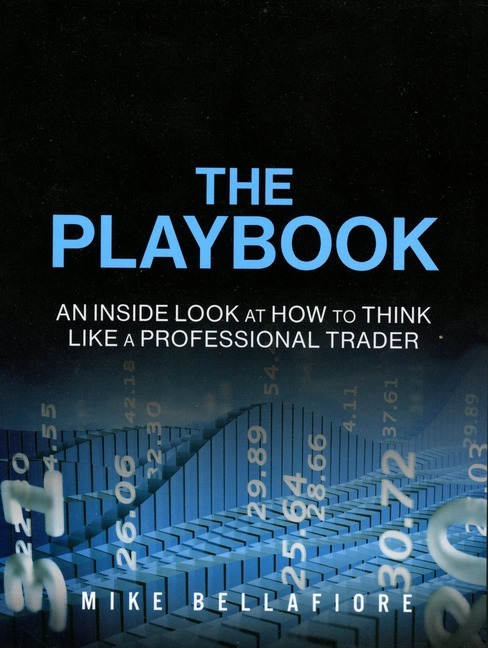 Using concrete, actionable setups drawn from his extensive trading and training experience, Bellafiore walks through an extraordinary array of trades, showing readers how to maximize profits and avoid disastrous hidden pitfalls. He covers support plays, bull-and-bear flags, opening drives, important intraday levels, bounce and fade trades, pullbacks, scalps, technical opportunities, consolidation, relative strength, market trades, and more. He also presents indispensable insights on psychology and trader development, based on his work with hundreds of traders on a major commodity exchange and an elite prop firm’s trading desk. Packed with color, personality, and realism, this is an exciting guide to real-world trading. Attend a "trading boot camp" at a leading proprietary trading firm and learn from an experienced trading coach to trade like a professional. Mike Bellafiore is the co-founder of SMB Capital, a proprietary trading firm in New York City; SMBU, their education arm; and SMB Systems Trading, their algorithmic trading division. He is the author of “the trading classic” One Good Trade. His firm has regularly appeared on CNBC, Bloomberg TV, CNN Money, Fox Business, the BBC, and in the Wall Street Journal and the street.com. SMB’s trader training program was highlighted on the TV documentary Wall Street Warriors. An international lecturer, Mr. Bellafiore has built trader training programs globally for hedge funds, prop trading desks, and retail traders, working with some of the world’s largest traders. He lives on the Upper West Side, with his wife and newborn son.